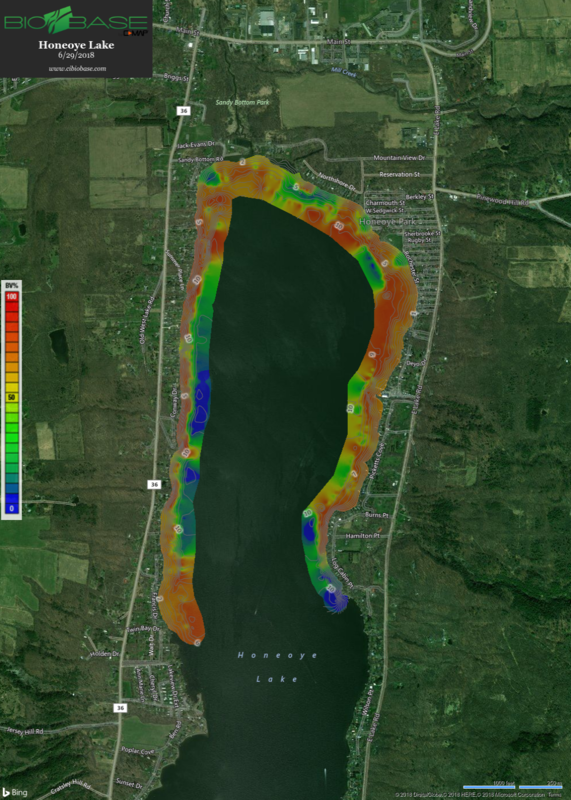 to protect and improve the water quality of Honeoye Lake. 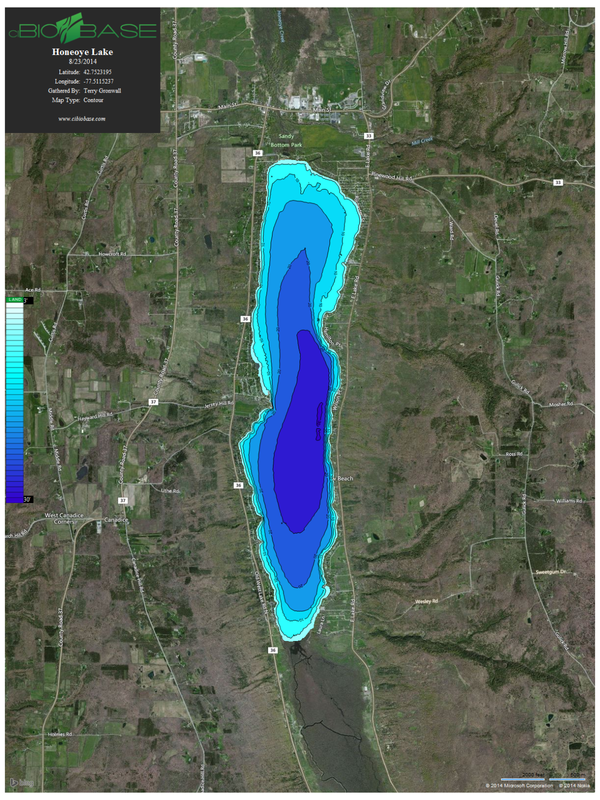 represent how much of the water column the vegetation is occupying in %. 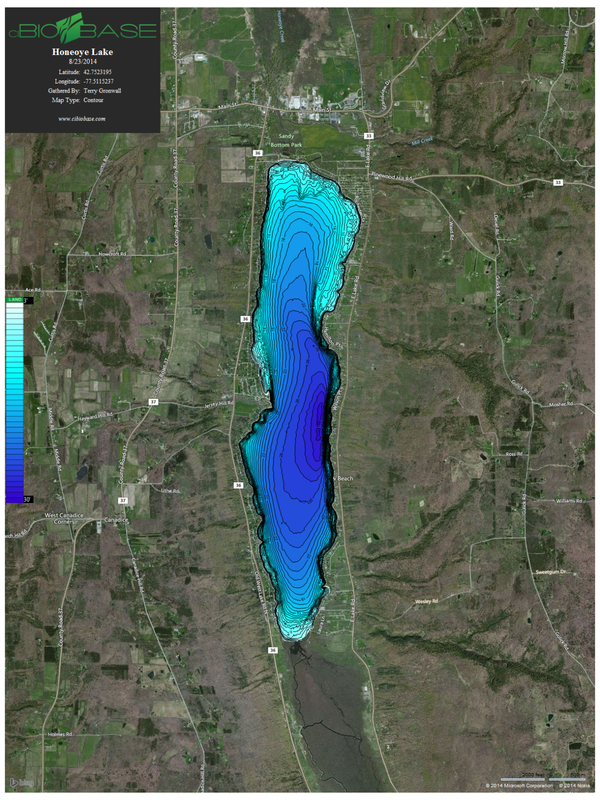 There are white contour depth lines every 5' on the maps. 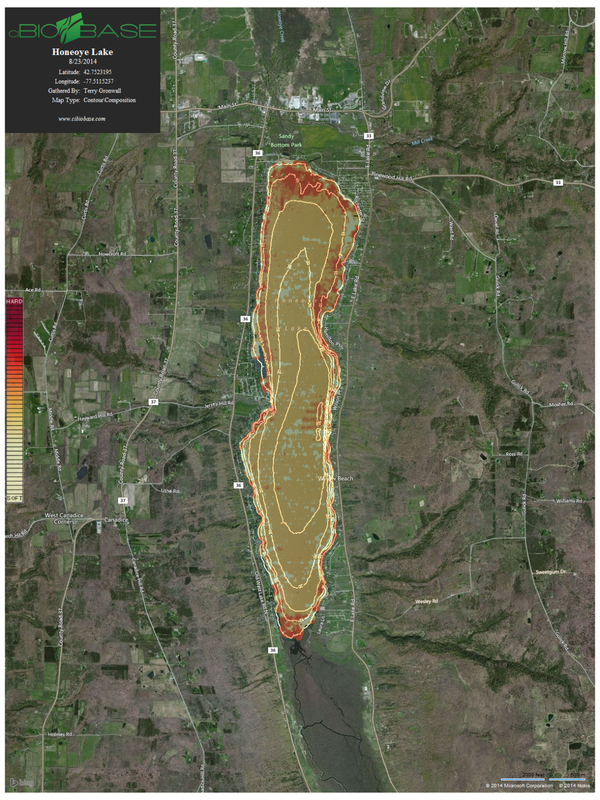 Most of the red areas on the map are between 5-10' of water depth. The weed line (dark green to blue transition) still appears to be at ~12' of water depth. The weed line used to be between 16-17' of water depth. 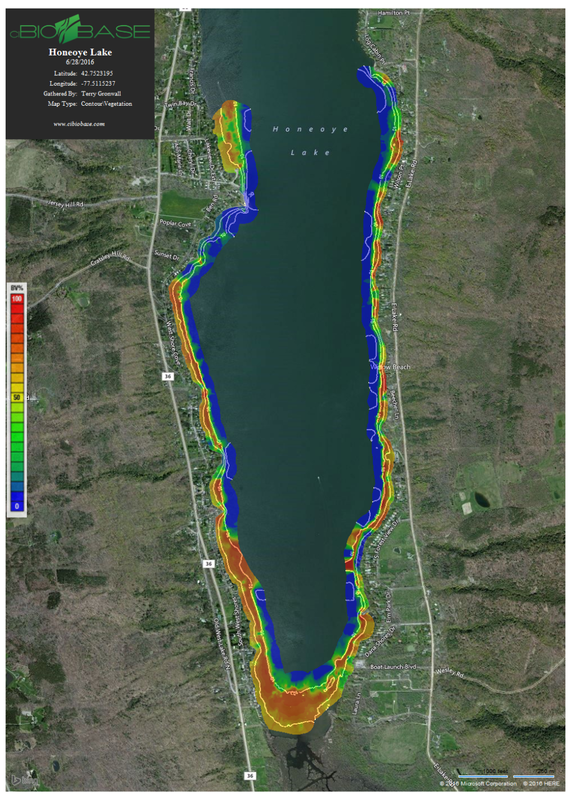 NYS DEC Honeoye Lake Total Maximum Daily Load (TMDL) 8/26/15 public meeting presentation.